Sewing in the Tempo Homes – THFwelcome e.V. Since March 2018 THFwelcome works with female residents of the TempoHomes at Columbiadamm 84. 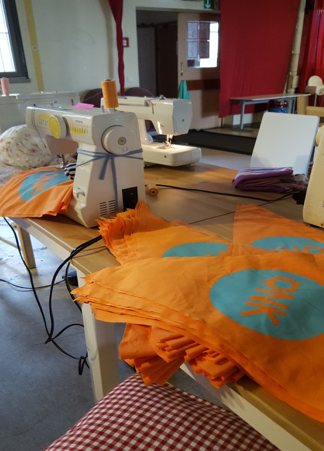 Every Wednesday, 5-7 p.m. the Sewing Workshop opens its doors. It enjoys great popularity among the residents!